I think I have a gambling addiction. It’s not strong enough to entice me to risk all of my semi-monthly lifeguard earnings at first chance, but I do find myself thinking about the act and concept of gambling frequently. Maybe I seek escape from my routine academic life and am unaware of the adrenaline my heart seeks. Maybe watching “21” on every long drive or flight to Mexico planted a gambling seed in me at a young age. Maybe it was my completion of the the card game-oriented Win, Lose, or Draw class. I guess I am thankful that I lack the confidence so many others have in ungovernable factors, which have raised — and crushed — the spirits of millions over something as small as a game of cards. At the same time, I often find myself thinking “what if?” about this unrequited love of the concept in general. What intrigues me most is this sense of controlling the odds. In other words, the FOMO is real, but so is the fear of going broke. I did, however, enjoy a couple of hands of hold ‘em poker with some people last week, which I had never actually played with real money on the line. I wasn’t going to lose sleep over losing my $10 buy-in, but it was a pleasant surprise to cash out with a $1 profit from my 90 minutes at the table. The game had its thrills, in my mind at least, like when you are out of most of your chips and save your spot at the table by flopping into a flush. I credit Aaron Sorkin’s “Molly’s Game,” which provides the viewer with enough insight and vocabulary to have a basic understanding of the sport. Yes, I will consider it a sport simply because the World Series of Poker is on ESPN to convince myself I knew what I was doing. Moreover, I’m glad I can convince myself so easily that I know what I’m doing. Maybe gambling is just fresh on my mind because of the $5 entry March Madness bracket group my friends partake in every year. I am now 0-3 in that competition thanks in large part to my confidence in University of Virginia last year and the lack of confidence in them I had this year. Texas Tech killed my hopes and dreams of a big payday that would have been provided by a Michigan State national title win. 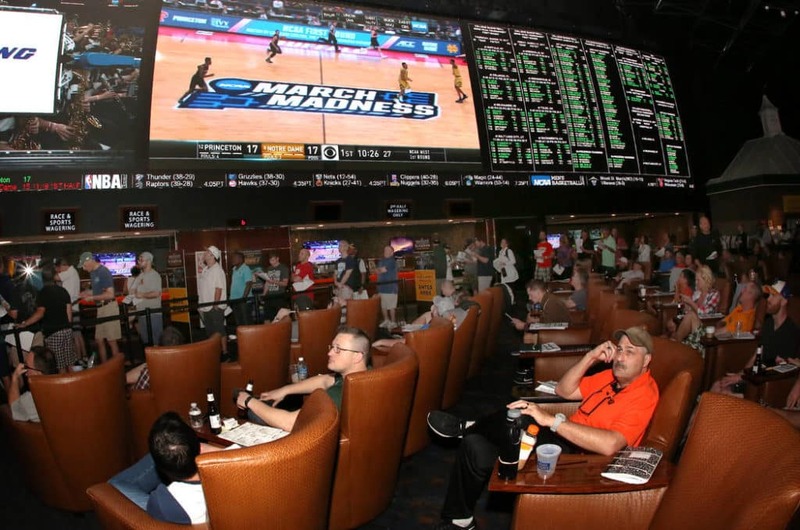 Sports betting probably gets the most out of my skepticism, but when the federal sports betting ban was lifted in 2018, it became the form of betting I read most about. Even ESPN dives into coverage about the bet lines for every big-time game in all sports. Still, I don’t trust the sports gods to allow these games to fall into my favor. See 34dougiefresh’s bracket if you need evidence of this. I think what makes these modest ventures with one’s money — or the ones detrimental to your bank account — appealing is because college students are always at a loss for something. Things that we may value more than money in the midst of our curriculum-induced madness. Time, sleep, motivation, sanity: all of these are things which it seems like we gamble with everyday during the semester. Any one of these will directly or indirectly influence the quantity of which you have another. This especially applies to time, which makes me think of nights where I will elect to either stay up an hour or two later to get ahead on — but ultimately procrastinate — something. Thus, my sleep schedule is whack for the remainder of the week. Say you have a term paper you should have been working on throughout the semester. Instead of electing to divide your time throughout the 15 weeks of the semester, you throw all of your sleeping chips onto the table the night before it is due and stretch your paper out to just meet the length requirement with 30 seconds to spare on the Moodle submission deadline. I have to say, winning off a flush feels pretty similar to that adrenaline rush.